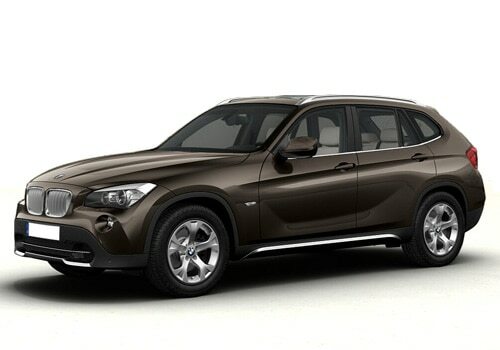 Reports coming in from the markets that the Germany's luxury car maker BMW is all set to launch the entry level crossover BMW X1 in Indian markets. Many of the market sources believe that the launch will be on the 14th February that is on the Valentine's day. This is certainly a big news for the BMW lovers in India. It seems like the German automaker is planning to make use of Valentine's day to launch the vehicle but there is no official word from the company as yet. The vehicle has already launched in the Indonesian and Malaysian markets and now it is getting ready to arrive on Indian shores. The company hasn't revealed anything about the new BMW X1 features or its tech specifications but the market sources says that the car will arrive with two engine options such as petrol and diesel. The petrol variant will be hosting a 2.0 liter engine with a displacement of around 1998cc that makes superior horse power and torque power of 150Bhp and 200Nm. On the other side the diesel variant is also expected to come with a 2.0 liter turbo diesel engine that makes a 177Bhp of peak power at 4000Rpm and 350Nm of peak torque at 1700-3000Rpm. However, all these numbers are just assumptions and there is no confirmation yet from the company's side. There are some major and minor changes made to this vehicle in order to make it a high performing and a stylish car. The company has now given an 8 speed automatic transmission gearbox, which will make the X1 a fuel efficient vehicle while enhancing the smooth driving experience. On the other hand the company also made changes to its appearance, especially to the front fascia. Now the car has got a new front fascia with chrome grille, new design headlamps, and new design bumper. Although the entire body panel remains to be the same, you can still observe that there is change to its appearance as you can see in the BMW X1 pictures. Many of them are expecting that the new BMW X1 price will remain to be in the same range its earlier version but will be little expensive. The expected launch date is just about few more days from now and it would be wise to check with the nearest BMW cars dealer for get updates over the car. This vehicle is undoubtedly the most successful one of the BMW cars and it is now all set to take on the markets with brand new look and features.